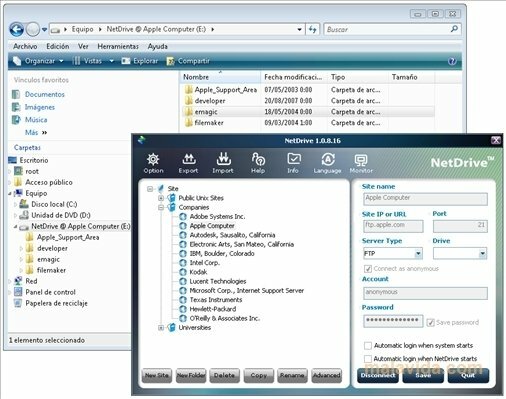 The FTP (File Transfer Protocol) system is one of the most comfortable to be able to transfer files between any computer and a server, but it has the drawback that it requires a client to be able to access any location. 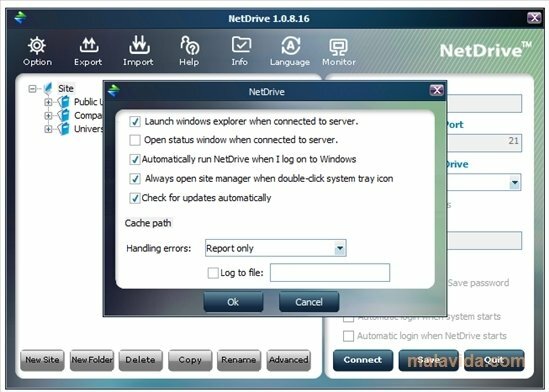 Now, thanks to NetDrive, it will no longer be necessary for you to have an FTP client or WebDAV to transfer files, because it will convert any connection by means of this protocol into a virtual drive, which we'll access just as we would in the case of any other directory on our PC. - Full support to drag & drop files. 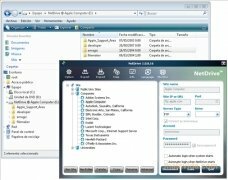 - Possibility to launch files remotely. - Mount the units during the Windows startup, being accessible from the system tray. - List of public FTP sites. If you're looking for a practical, comfortable and stable alternative to any FTP client on the market, try out NetDrive. The program doesn't work properly on 64-bit systems. The program is free for personal use only.